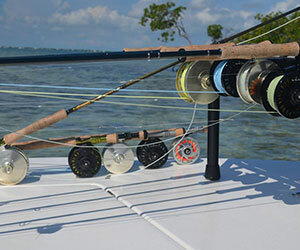 Flats fishing and backcountry fishing guide for the Florida Keys Fly fishing and light tackle fishing specialist. 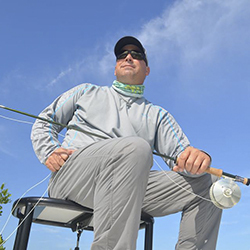 Offering two ways to fish in the Lower Florida Keys. Since 1994 Capt. 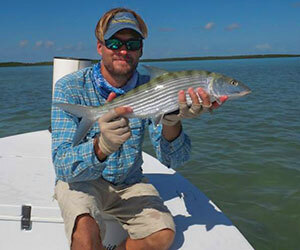 Chris has passionately been fishing the Florida Keys flats. With light tackle and spin fishing techniques Capt. Chris rose to the top of the talent by the late 90's where he has stayed every since. Chasing fish in shallow waters is what makes his day and it shows. Fun, Friendly and professional. 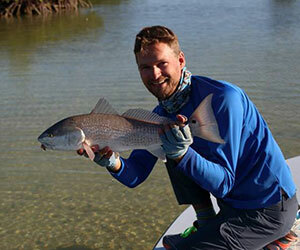 There are very few flats fishing guides that have as much time on the water as Capt. Chris Duncan of Native Charters. 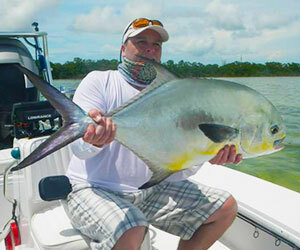 Based out of Ramrod Key in the Lower Florida Keys there are even fewer flats fishing guides that are as versatile. Capt. Chris fishes from Islamorada and Marathon including Big Pine Key and Sugarloaf Keys all the way into Key West and the Marquesas Keys. Capt. Chris knows all that water like his backyard. Able to meet his clients anywhere along the Florida Keys island chain close to their hotels and being able to fish multiple days in different areas giving his anglers a well rounded experience up and down the Florida Keys Island chain. Flats fishing with Capt. Chris his anglers gain a thorough understanding of techniques, tackle, casting and sight fishing. Fishing the flats is not so much just fishing but the stalking and the hunt. Weather it be fly fishing or spin fishing Capt. Chris caters to both equally as well and enthusiastically. With state of the art fishing gear both fly and spin anglers are never left wanting for more. Capt. Chris uses a state of the art "poling skiff" for a flats boat built by Maverick boat company powered by Yamaha outboards.. 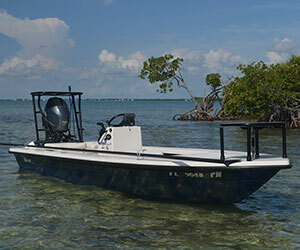 This flats fishing boat can get into super shallow water offering the sight fishing angler a great shot at all the species of the flats. With a a maximum capacity of 2 anglers Capt. Chris offers 4, 6, and 8 hour fishing charters on his flats boat. For those that are looking for a little more volume of fish and easier species to catch. Capt. 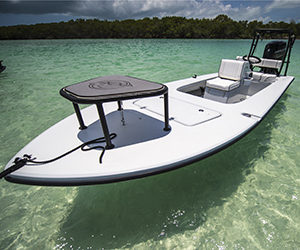 Chris has a 24ft Ranger Bay Boat that offers lots of room for up to 4 anglers and a super steady fishing platform. 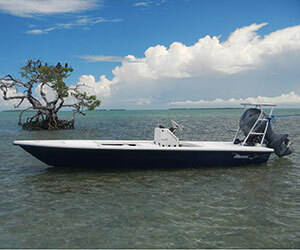 The versatility that the bay boat has is amazing being able to fish the shallows and the near by reefs in the same day. We have direct access to Capt. Chris's schedule. Give us a call at the number listed below and we will book you on his boat. Its very difficult for busy captains like Capt. Chris to answer his phone while fishing.